booklet featuring all the characters, is The perfect gift for any child. 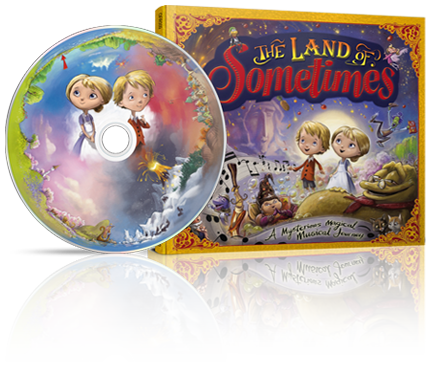 Join us on the magical journey of Alfie and Elise to ‘ The Land Of Sometimes’. 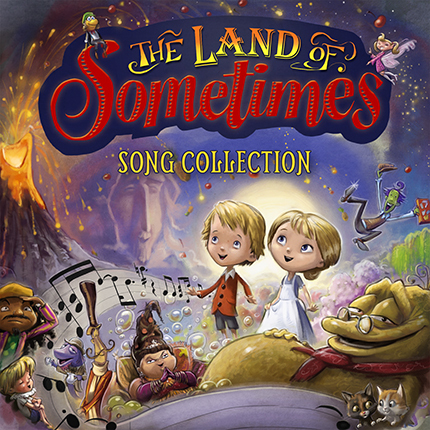 As the story unfolds, you will be introduced to a collection of deliciously eccentric characters and their original songs. Catchy, melodic, sometimes hilarious, each song is different from the last. Irish folk to New Orleans jazz, reggae to disco, poetry to simple beauty, these songs have a universal appeal and are an introduction to the eternal power of music and storytelling. Buy direct from The Land Of Sometimes store, via PayPal. HAVE A LISTEN TO SOME SAMPLES OF THE SONGS! on their own without the narration? 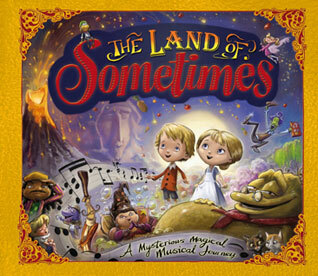 A3 version of the front cover featuring all the weird and wonderful characters from The Land Of Sometimes! Printed on A3 matt paper. 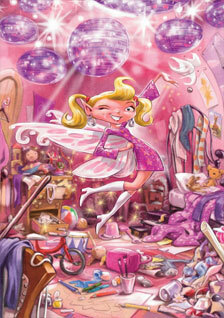 At last little girls can have this naughty fairy on their wall in all her splendid sparkles! A3 poster on high quality matt paper. 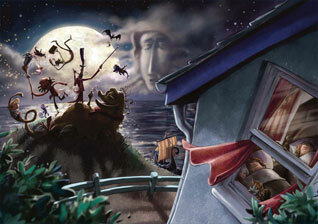 All the characters in the magic Land are dancing to the light of the moon in this atmospheric A3 poster, perfect for a child’s bedroom. Printed on high quality matt paper. 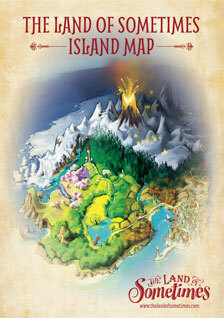 A beautiful old fashioned A3 poster of the map of The Land Of Sometimes. Printed on heavy matt paper.